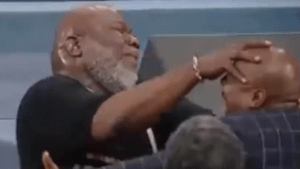 Despite what the scriptures teach, Bishop Jakes announced that he feels that disgraced pastor Chris Hill is ready for ministry after just 3 months of “professional counseling.” It is astonishing that Jakes would completely disregarded the Apostle Paul’s instruction that anyone who does not have his household in order (Blair doesn’t) and who has shown a lack of self-control (adultery) is not to be serving in church leadership, especially if it’s in a position that’s connected to the ministry of the gospel. Three months after resigning as senior pastor of The Potter’s House Church of Denver over an alleged affair with a married parishioner, Pastor Chris Hill says he is ready to come back following counseling and a public show of repentance Sunday. His mentor, Bishop T. D. Jakes of Potter’s House of Dallas, laid hands on him and declared restoration.